This engraved slate house sign is 10cm wide and 10cm high, and is made of natural slate. The sign is engraved with one character free of charge to personalise your slate sign. We recommend a 12.5cm x 10cm slate house number sign if you have two digits in your house number, or a 15cm x 10cm slate house number sign if your house number is 3 digits. These slate house number signs are supplied with screw holes for fixing, and can have the numbers infilled with white, gold or left as natural slate. 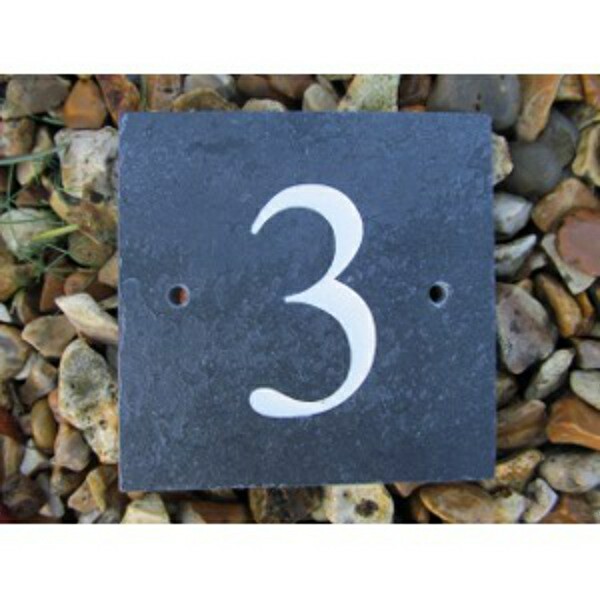 The postage rate for and engraved slate house number sign is Band B.